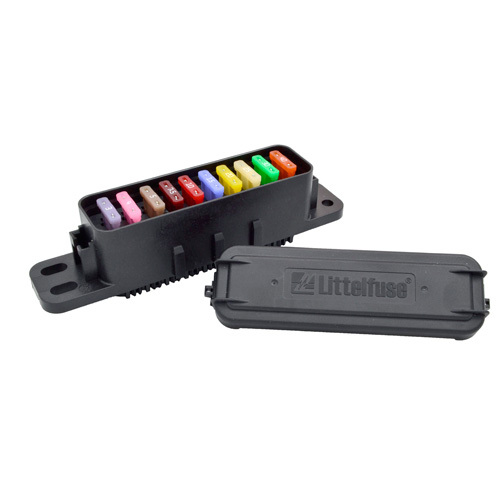 Sealed PDMs (Power Distribution Modules), hardwired to accept 280-style components (MINI fuses, relays, circuit breakers, diodes, shunts, etc.) 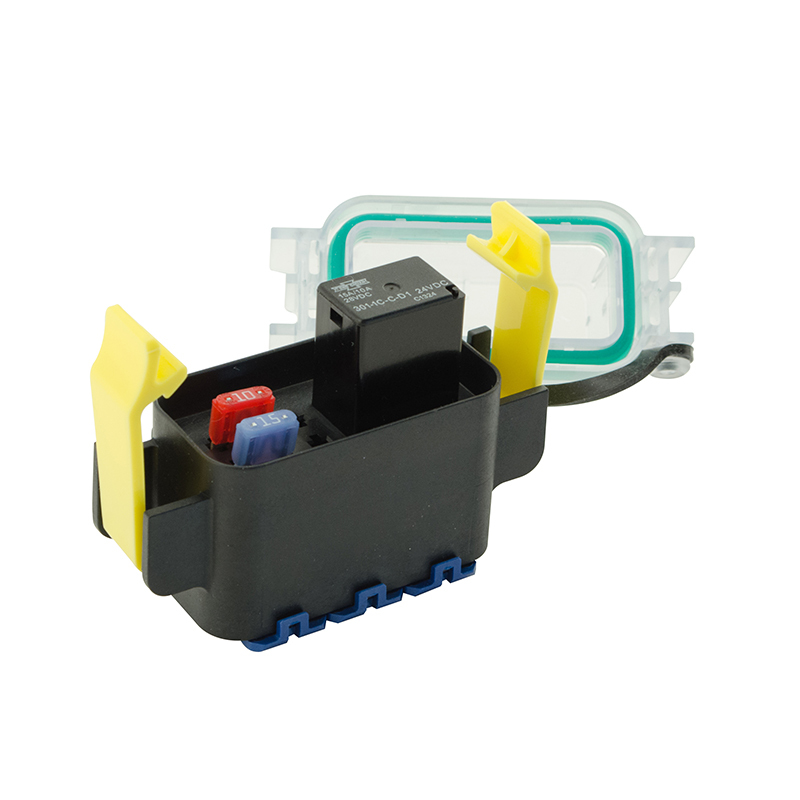 PDMs accept Delphi Metri-Pack 280 terminals, cable seals and cavity plugs. 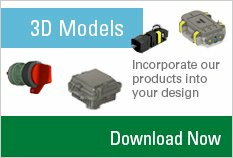 Available as HWB18 (accepts 9 two-bladed components) and HWB60 (accepts 30 two-bladed components). The elimination of internal bussing allows user to customize their own circuitry, with direct wire-to component connections. 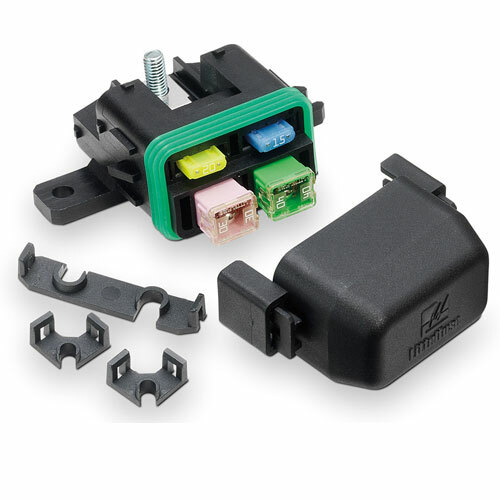 User can install any mini (280 style) circuit protection component. Compact size. 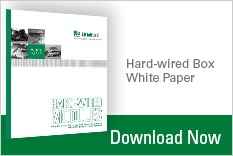 PDMs are a perfect fit for accessory circuits, overflow circuits from main PDM, or a main module on smaller vehicles. 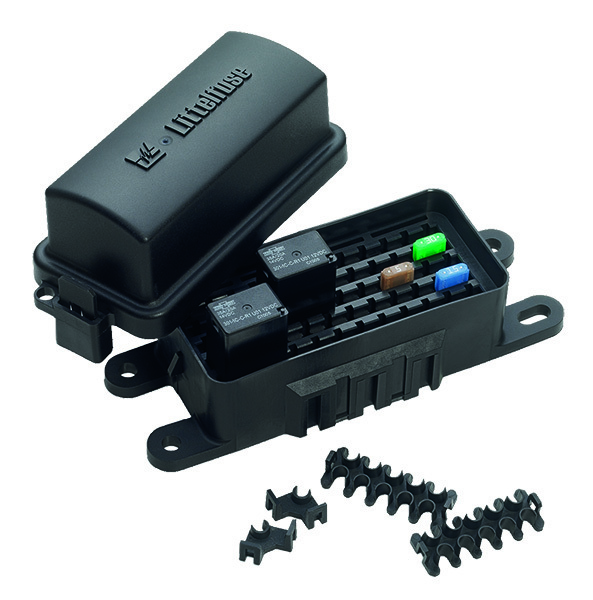 IP67 sealed units can be installed virtually anywhere on the vehicle. Stands up to roadsplash and salt spray, and gives robust protection to devices. TPAs (terminal position assurance locks) give secondary locking protection of the wire leads, which aid in prevention of leads from being pulled out. 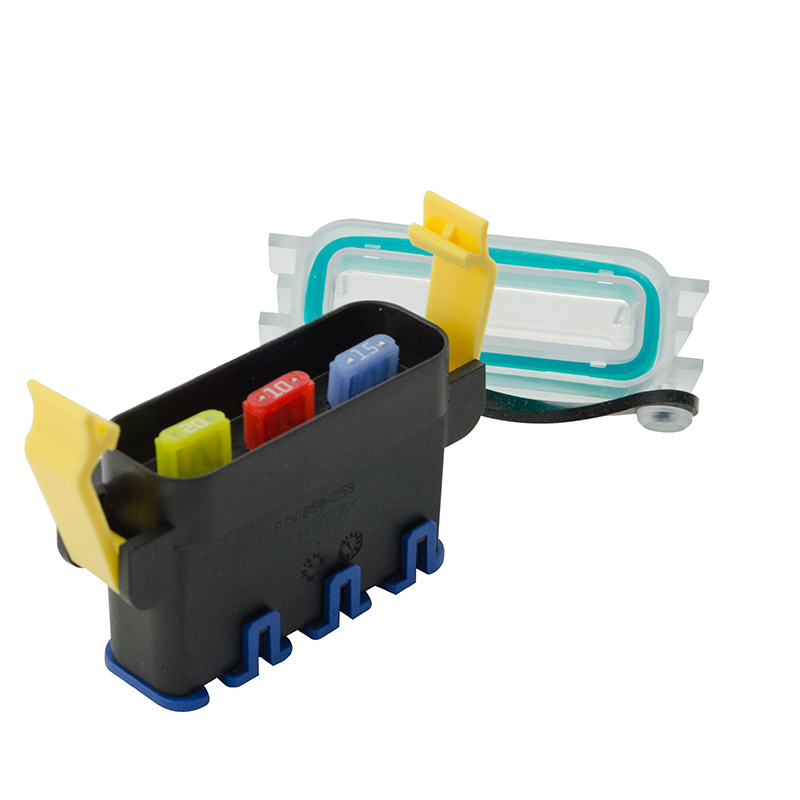 TPAs snap onto the back of the PDM after wires are installed, and do not interfere with the cable seals needed to ensure IP protection. Easy to connect. 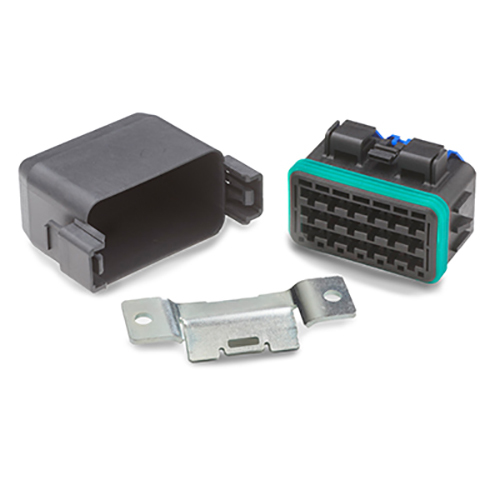 Wires plug into the back of the unit using industry-standard Delphi Metri-Pack Series 280 tanged terminals.